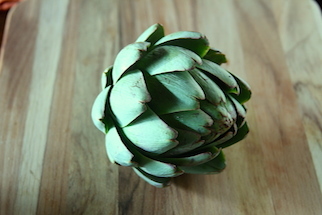 Step 1: Using a very sharp or serrated knife, slice off the top 1/3 of the artichoke. 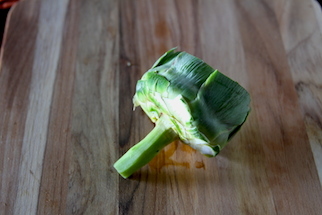 Peel off the outer layers of leaves, starting at the base. Trim any remaining leaf tips with scissors. Rub all trimmed surfaces with lemon, as you go. 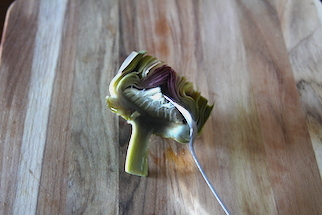 Peel the stem with a peeler or paring knife. 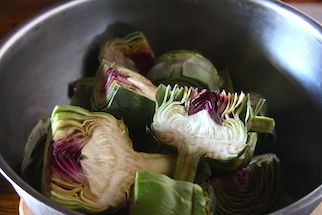 Cut the entire Artichoke in half, through the stem. Step 2: Place the halves in a pot of simmering water. Cook 15-20 minutes, until stem is tender. Meanwhile, preheat your Yoder Smokers YS640 to 450ºF. 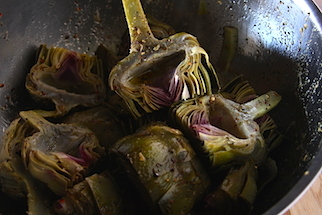 Remove the artichoke halves from the water. 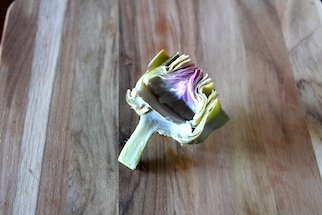 Using a spoon, scoop out the choke (the fuzzy material where the stem meets the base). Step 3: Rub the halves with olive oil. Season with Cattleman’s Grill Italiano Seasoning. Grill on a hot grill (450ºF+), until you have nice grill marks. Peel off the outer leaves off. The “meat” at the base of the leaf is edible and good for snacking. 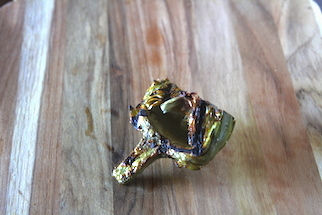 Use your teeth to scrape off a bite, discarding the tough upper leaf. When all leaves are removed, you’re left with the heart and stem. All of this portion is edible, and can be diced and added to salads, pizzas, dips, etc.